There’s a financial debate underway in many countries around the world. It’s not about interest rates or taxes, but about coins—and whether it’s time to drop them. HPR’s Bill Dorman has more in today’s Asia Minute. South Korea plans to phase out coins entirely by the year 2020. 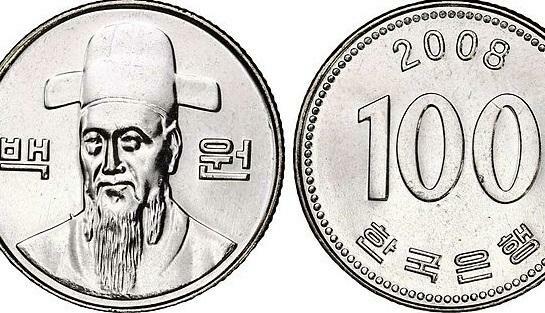 The Bank of Korea has already cut back on the number of coins it mints—reducing them by nearly a third over the past ten years. But without coins, how would you get change at the store? The plan is that consumers who pay cash at retailers would receive their change in credit—either on a credit card or a mobile bank account or maybe even a transportation card. Elsewhere in Asia, some countries already use only paper money—including Cambodia, Laos, Myanmar and Vietnam. Thailand is trying to convince them to go the other way—pointing out that coins are much more durable than currency notes. Thailand would also like to make the coins. Several countries have stopped making coins of small denominations. New Zealand dropped its one and two cent coins back in 1990---and tossed out its five-cent coin almost ten years ago. Canada scrapped its penny several years ago….and President Obama has said he’d be willing to kill the US penny—which now costs more to produce than it’s worth. The future of coins in the Asia Pacific and beyond will be a topic in Thailand in a couple of weeks…when members gather from 47 countries for an international conference of Mint Directors. While the presidential campaign remains a focus in the United States, this was a big week for elections of a different kind in South Korea. Voters cast ballots for the national legislature—and the results surprised a lot of observers. HPR’s Bill Dorman has details in today’s Asia Minute. Congress is gridlocked, and time is running out on the president’s term. Sounds like the United States, but now it’s also true in South Korea. President Park Geun-hye still has more than a year and a half left in office…but her legislative outlook just became a lot more challenging. Asia Minute: Korean Cosmetics: Taking Over the World? Tourism brings more than 8-million visitors to Hawai‘i each year--a fact that has attracted a number of international businesses looking to capitalize on brand exposure. That includes companies selling Korean cosmetics. It’s a niche that has led to several new stores in the state over the past few years—and continues to be a growing part of Korea’s international trade. HPR’s Bill Dorman has more in today’s Asia Minute. Last week, we told you about annual military exercises underway in the Philippines. The maneuvers involve US and Filipino forces—and this week there are new developments. HPR’s Bill Dorman has them in today’s Asia Minute.